The Chemie-Cluster Bayern works in close coordination with the Bavaria Associations of Chemistry (Bayerischen Chemieverbänden). The work of the Cluster serves as an operational, project-oriented complement to the association activities of the VCI/VBCI. The services of the Cluster are available to the member companies of the VCL association of Bavaria and the association of the Bavarian chemical industry (VBCI). The complementary offers of the Cluster are mostly involved with the areas of innovation management and market development. To deal with requests and inquiries between the associations and the Cluster on a case-by-case basis, a Cluster manager is specially assigned as the contact person for members of the associations. 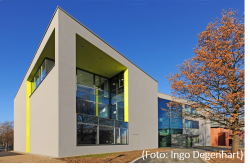 A service office of the Chemie-Cluster has been operating since 2013 for the initiation of R&D projects related to the field of macromolecular and colloidal sciences at the University of Bayreuth. The objective of establishing a Cluster office is the initiation and implementation of R&D projects at universities and in the industry. Projects include pure research plans of research institutes and product-oriented development of our industrial members. Joint projects between research institutes and industrial companies are also conducted frequently. Project development in the field of macromolecules and colloids delivers special competitive advantages for the members of Chime-Cluster Bayern: One of the most important focus in this is the development of new polymer materials, intelligent functional materials, or new catalysts. The University of Bayreuth gathers the leading research competence in this key area together. The joint service office offers the members consultation service on R&D projects and also generally on the funding possibilities and searching for right project partners. The Chemie-Cluster was founded in 2006 in the context of the Cluster-Initiative of the State of Bavaria. 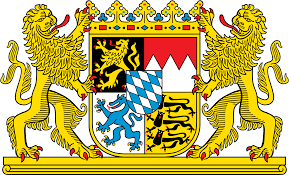 The Bavarian Ministry of Economic Affairs and Media, Energy and Technology became one of the key partners, apart from the members, of Chemie-Cluster ever since.